Make your proclamation with Desperado. Featuring a two-tone black and chrome look, Desperado is sure to bring out the outlaw in your game. Special non-slip black coated grip points are sure to help you achieve an accurate release on every throw. The Merlin is 80% tungsten and offers our widest range of weights for steel tip darts. Every player .. Enhance your game and grip with the our bestselling line of Viper Sure Grip Darts. Sure Grips featur.. Begin your journey into the game of darts with this inexpensive, yet high quality alloy model. Choos.. The Super Bee is a small yet extremely accurate dart. A wide knurling on the barrel really enhances ..
Seeking performance darts but don't want to shell out extra cash for tungsten set? Throw "The Freak"..
Strike fear into the hear of every dart opponent with the Grim Reaper. Designed for experienced play.. This Camaro Dart Cabinet comes with everything you need to start playing. It includes a high quality.. The Sinister features an ultra smooth 95% tungsten barrel. Precision machined for perfect balance. C.. The officially licensed dart cabinet from Imperial is going to look great on the wall of any game ro.. Licensed Realtree Hardwoods Â® dart set is the ideal camouflaged dart to eye up the perfect shot. En..
Make your proclamation with Desperado. Featuring a two-tone black and chrome look, Desperado is sure..
Pulse is a range of affordable high quality alloy darts with striking designs that not only look goo.. The only bee with a rotating shaft. They feature a vibrant color coating and wide knurling for super.. 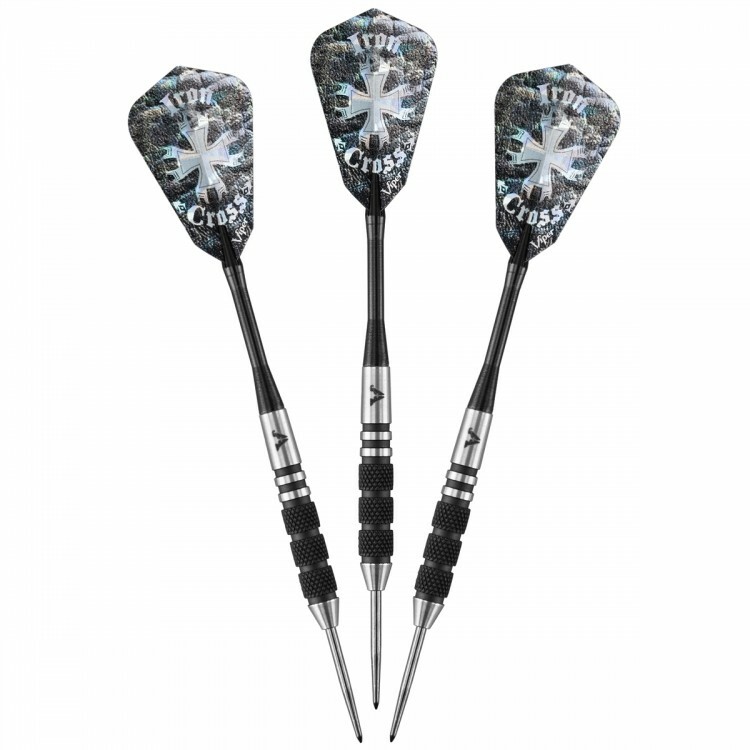 The Ultra Sonic is a top range English designed tungsten dart manufactured using Elkadart's high end.. This Four Aces Dart Cabinet with quality dart board and darts included.Features include:22 x 25 inch..
A range of 90% tungsten darts that will suit any player, attractive designs and a variety of weights.. The Astro is truly out of this world featuring beautiful diamond cut tungsten barrels hand painted w.. Cold Steel is sure to bring you new respect! Designed and built with the competitor in mind, Cold St..